MacuHealth® with LMZ3 is a nutritional supplement that helps enhance vision by restoring important pigments found in the eye. This natural soft gel can reduce glare and help reduce risk of developing age-related macular degeneration (AMD), the leading cause of vision loss among Americans age 65 and older. The macula is the most sensitive part of the central retina, responsible for our detailed central vision and color vision. Within the macula, there is an important and naturally occurring protective substance known as macular pigment, which is made of three nutrients: lutein, zeaxanthin and meso-zeaxanthin. MacuHealth is the only supplement containing all three of these crucial carotenoids in a 10:10:2 ratio. Macular pigment deficiency is common in today's society and contributes to poor contrast vision (inability to see faint objects) and debilitating glare. 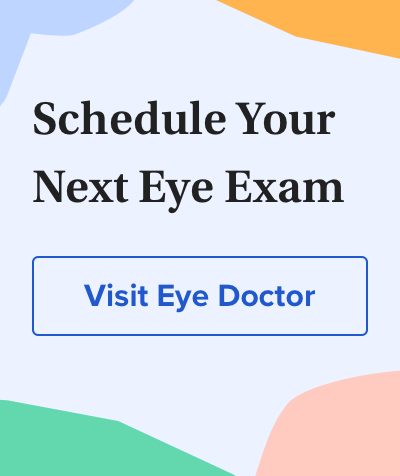 Consuming the right amount of lutein, zeaxanthin and meso-zeaxanthin can reduce your risk of central vision loss from AMD by decreasing oxidative stress on the macula. Vision with low macular pigment vs. vision with high macular pigment. Lutein and zeaxanthin can be obtained through diet and are found primarily in broccoli, corn, squash and green, leafy vegetables like spinach and kale. Meso-zeaxanthin, although found in the flesh of trout, is rarely found in the western diet. It is also believed to be created in the retina from ingested lutein. It has recently been discovered that consuming the correct amount of meso-zeaxanthin in a 10:10:2 formulation is very important for maintaining healthy vision as humans live longer. Unfortunately, today's processed foods lack the nutrients required to maximize macular pigment and fight against deteriorating vision. Many believe supplementation is the best way to protect your macula. Research shows that the three components in MacuHealth supplements can reduce the risk of AMD and even improve visual performance. In some cases, AMD advances so slowly that people do not notice the change in their vision. For other people, macular degeneration progresses faster and may lead to a loss of vision in one or both eyes. Who Can Benefit From MacuHealth Supplements? If you want to improve your vision and fight against AMD, MacuHealth supplements can help — even if you are young and healthy. If you notice any of the following things, you should talk to your eye doctor immediately, especially if you are older than 50. Studies have shown that visual performance can be improved at any age by taking supplements with a formulation that contains all three of macular pigment's constituent nutrients, like MacuHealth. Being able to see clearly is crucial for those with vision-dependent careers (athletes, policemen, military, pilots, etc.) and for anyone who enjoys outdoor leisure and sports. Additionally, healthy macular pigment supported by MacuHealth helps to filter out damaging blue light. When not absorbed by macular pigment, high-energy blue wavelengths can cause glare, halos and eye strain. Too much exposure to blue light results in photo-oxidative stress on the macula that can lead to AMD later in life. Unlike other supplements, you only need to take one easy-to-swallow soft gel a day in order to restore the macular pigments in your eyes.